We at Geeks On-site specialize in Maryland computer repair service in Maryland MD. We also offer in home computer repair and in office computer repair services. Please call us to get a FREE PHONE CONSULTATION and ESTIMATE. Sometimes, it can seem like computer problems come out of nowhere. For example, let's say you're at home in Gaithersburg, typing away happily on your laptop without trouble, when suddenly a error message flashes briefly on the screen and your whole system inexplicably crashes. Maybe the problem is less dramatic - perhaps instead you're in your dorm at The University of Maryland, burning some songs onto a CD, when your disk drive decides to stop working correctly, leaving you perplexed and frustrated. At the same time, computer troubles don't always happen without warning. Many consumers have had the hair-pulling experience of slow load times, lagging browsers and confounding noises that leave them with a sense of impending doom. In this situation, simply cruising the internet can feel a bit like tempting fate, leaving you to wonder: "How long do I have before this computer kicks the bucket?" When dealing with any of these scenarios, it helps to have a little experience on your side. Retail and manufacturer warranties may eventually expire, but the speedy and professional service of a Maryland computer repair company like Geeks On-Site is something you can rely on no matter what computer troubles you face. Computer problems can be some of the most frustrating because, whether we use the machines for work or play, many of us can't go long without these devices. As a result, sending our computer away to a manufacturer's repair center halfway across the country is a less-than-ideal scenario. Indeed, if you need virus removal in Maryland, it's much simpler and faster to rely on a Maryland computer repair company. An even better scenario involves contacting a computer repair service that can send qualified technicians to your home on short notice. 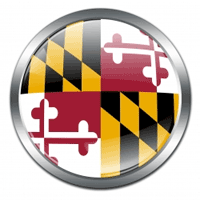 But, what should you look for in a Maryland computer repair provider? Is it enough to take a friend's recommendation, when he claims to know a guy who knows a guy who knows computers over in Burtonsville? Geeks On-Site Computer Repair has the skilled technicians to handle nearly any computer or laptop repair task. However, our service's true value may be our ability to send professionals to any home in the area, providing expert Maryland, Washington, D.C. and Virginia computer repair service to thousands of local customers. With our company's deep local roots, we know the Chesapeake Bay area better than most, serving clients in Montgomery, Prince George's and Howard counties. Our technicians help customers on both sides of the Potomac River, so if you've got a virus problem on your home computer in Bethesda and an unreliable hard drive on your work computer in Arlington, Virginia, we have the resources and ability to assist with both. Why choose Geeks On-Site for your computer repair? Our local focus and wide service range is part of what distinguishes Geeks On-Site from the average Maryland computer repair company. But, while we're regional specialists, we have the know-how and technical prowess to fix nearly any problem from any major computer brands. So, if your Dell suddenly won't turn on or you're having sound troubles on your Macbook, call us to arrange a same-day or next-day visit. Or if you absolutely, positively need to have your HP, Gateway or Sony computer up-and-running in a hurry, ask about our emergency service. Whether you have a slow computer, virus issues, broken screen or simply want help setting up your internet connection or new laptop for the first time, Geeks On-Site has the answer. Geeks On-site offers the absolute best Maryland computer repair service in Maryland MD. We also offer in office computer repair and in home computer repair services.